In the heart of the Marais sits a 13th century cellar. I walked by a hundred times and never knew it was there. It’s just one of the many hidden treasures Paris reveals, little by little, as you get to know the city. In the 12th century, this swamp to the northeast of the Notre Dame cathedral was drained to create a fertile marsh. In 1176, King Louis VII declared this marshland the “vegetable garden of Paris” and assigned the local Cistercian monks to work the land. The cellar that now exists below Paris Historique’s headquarters at 44-46 rue François Miron in the 4th arrondissement (just a stone’s throw from Saint-Paul metro) once served as a food depository for the monks’ harvested crops–a natural refrigerator as the temperature stays constant throughout the entire year. 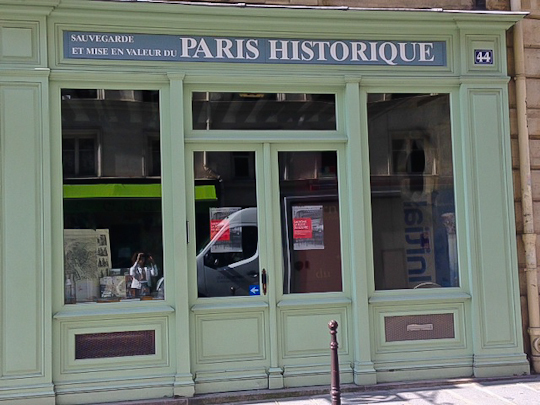 Paris Historique, a historical and preservation association, has been working hard over the last five decades or so to preserve a number of buildings in Paris, including the cellar and the 17th century house that stands above it. Please go pay them a visit! They will happily guide you down the steep stone stairs to the basement. There is no charge, but of course donations are very welcome. They allowed me to take a few photos but made me promise not to post them–you will have to go see for yourself!